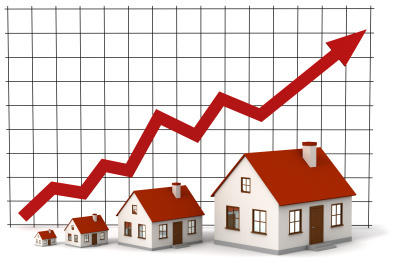 Buy to let sales in August 2015 were up by 54.1% compared to the corresponding month last year hitting £3.31bn, research from Equifax Touchstone shows. Year to date buy to let sales for January to August 2015 reached £25.62bn, an increase of 30.4% when compared with the same period in 2014. Buy to let investors have been attracted to the market by the continued economic recovery, low interest rate environment and enticing deals on offers from lenders. An increase in private rental rates of more than 10% since the start of the year has further contributed to this growth. Despite figures increasing year-on-year, August buy-to-let sales dropped by 12.5% from the £3.77bn reported in the previous month, reflecting the holiday slowdown. However, this was considerably less than the drop in sales of 20.8% in the corresponding period last year, a sign of a much stronger buy-to-let market this year. The data from Equifax Touchstone, which covers 92% of the intermediated lending market, shows that residential sales for January to August were up 14.8% compared to 2014. Including the buy to let sales growth, total sales for the eight month period are up by 18% year-on-year. The average value of a residential mortgage in August was £183,337 (August 2014: £170,371) and £158,782 for buy-to-let (August 2014: £143,546). Iain Hill, relationship manager at Equifax Touchstone, said: "We have seen promising signs of growth in the buy-to-let lending market in the past year as demand continues to rise and this has been further consolidated by last month's figures. We expect this upward trend to continue in the coming months. "Despite a fall in sales in August, which was slightly more than expected given the robust nature of the market so far this year, it's promising to see sustained year-on-year growth. "The current favourable market conditions, supported by low interest rates and the greater capacity for lenders to offer mortgages, have encouraged borrowers to enter the market.